Famous angler relies on Mystik Lubricants to get superior performance and maximum life out of his marine equipment. Mystik Lubricants are specially formulated to meet the unique demands of specialty engines and tested under the most extreme conditions. Thatâ€™s why Bill Dance trusts Mystik to help maximize performance on all of his boats. 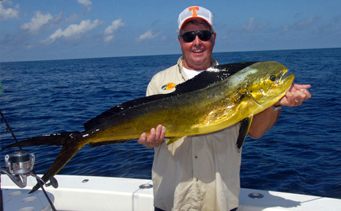 See for yourself by watching Bill Dance Outdoors and Bill Dance Saltwater. As one of the oldest, continuously running television shows of its type, Bill Dance Outdoors provides you the opportunity to increase your fishing IQ as you learn from the best. Billâ€™s more recent series, Bill Dance Saltwater, introduces anglers to amazing fishing destinations right in their own backyards, and prepares them with the background they need to have an excellent saltwater fishing experience. Wherever engine life longevity is demanded, Mystik is there. Visit Billâ€™s Facebook and official website to keep updated on all new Mystik information and product applications.